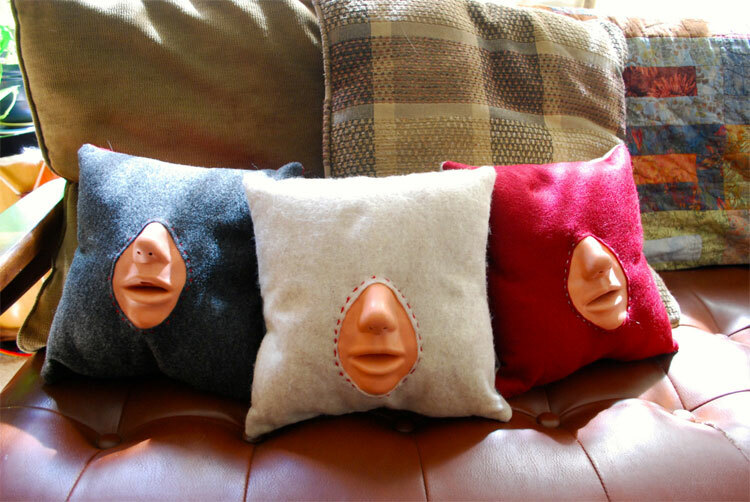 Although a little late for Valentine's Day, the Make-out practice pillow is here for all you lonely neck beards out there who either need to practice up for that big kiss that you hope to someday achieve, for those that are so lonely that kissing any mouth even though it's rubber and attached to a pillow would still brighten up your lonely pathetic life, or for those that will not be using it for kissing but for... other purposes... 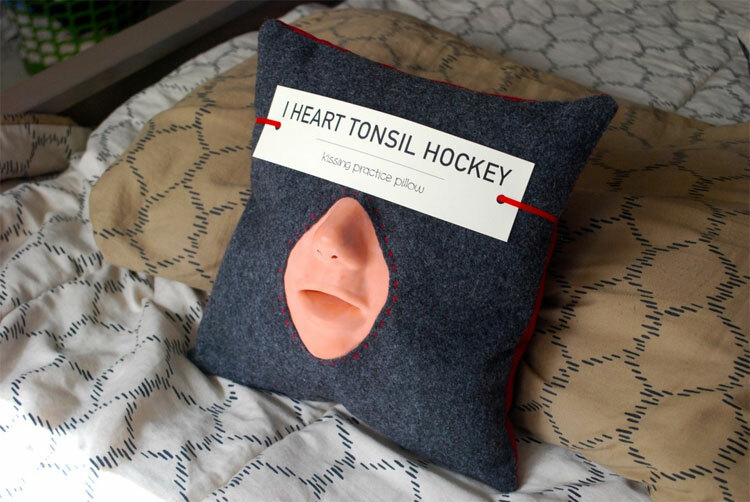 The make out practice pillow was created by a Florida based designer named Emily Grace King who made the pillow for the inexperienced kisser to practice on and for just using as a funny unique gift. 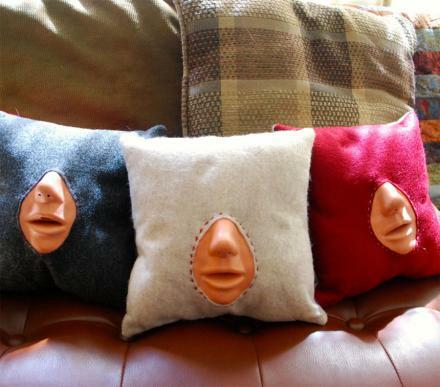 The kissing practice pillow is made from rubber faces that are often found on CPR dummies, and machine stitched on to a 12 inch x 12 inch pillow.